Finding a good purpose driven watch can be tough. Watches for pilots, surgeons, golfers, etc… For example, the military and law enforcement types, typically, don’t want a dainty shiny silver watch or one that plays loud musical tunes randomly. You get the idea. They have a job to do, one that often requires sneaking up on people and the like. 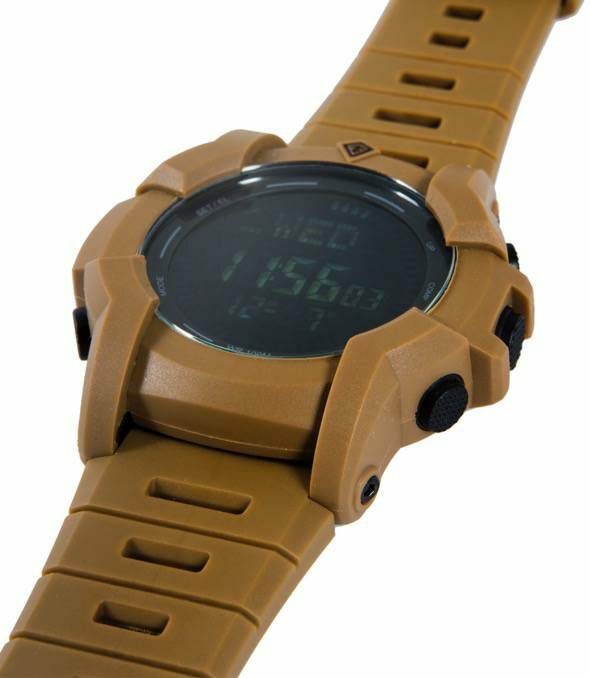 Enter the First Tactical Canyon Digital Compass Watch ($139). The colors hint at the fact that this watch is all business – OD green, black, and coyote. 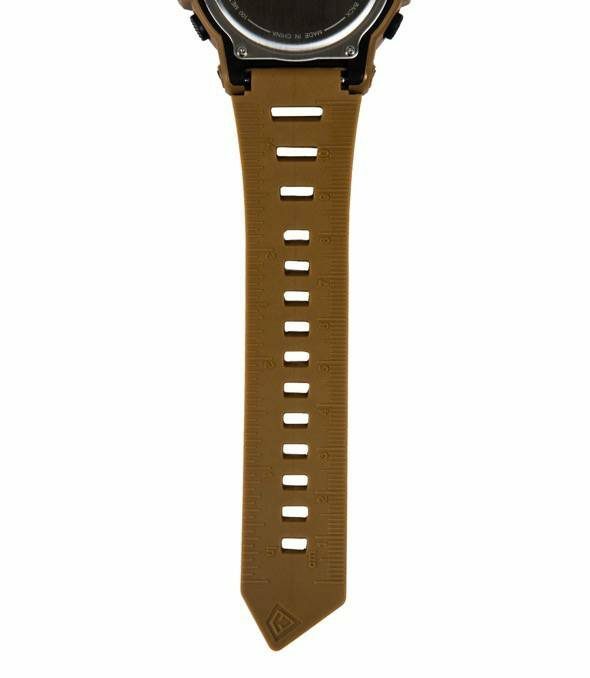 The color matched band of the watch also features a ruler (cm/in) and a Morse Code guide on the back and works with First Tactical’s 24mm NATO webbing band. 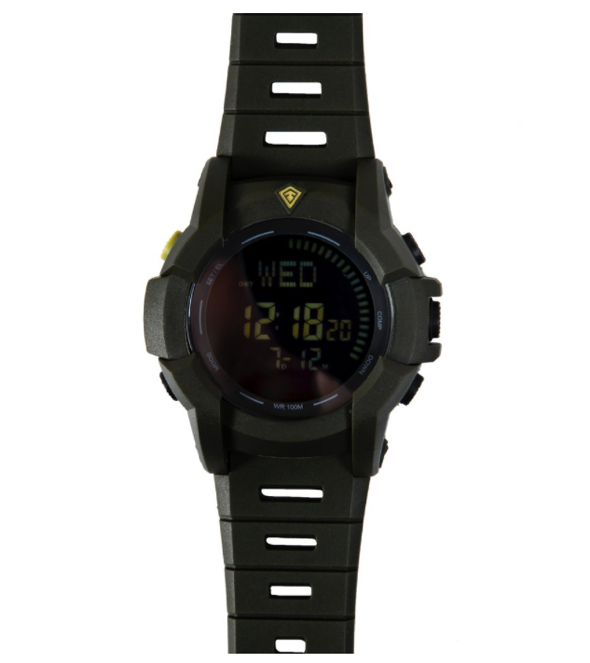 The Canyon Digital Compass Watch also sports a large protective bezel, a digital second hand, compass function, world time, a stealth mode button for muting all alarms and noises, and is waterproof to 10-meters.